Connecting your global workforce today – with the human capital management (HCM) solution of tomorrow. Today’s business is global and mobile. Work is constantly on the move, whether you have international clients, a workforce with employees across the world, or a large number of virtual employees. If you have employees stationed across the globe or are serving customers in multiple countries with unique needs, you’ve experienced added complexity in HR, payroll, engagement, and talent management. Managing a distributed workforce—let alone engaging your people and aligning them with your overall goals—is no easy feat. 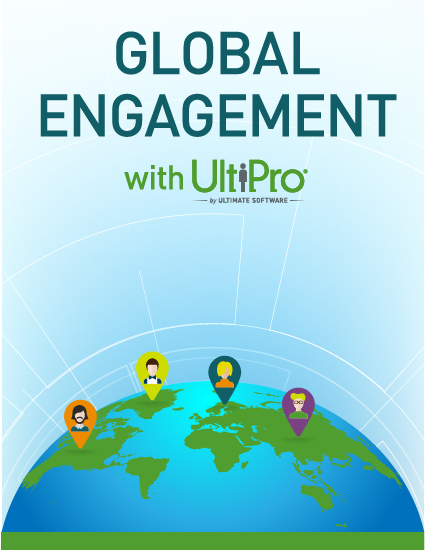 With constantly expanding global capabilities, UltiPro® is already centralizing HCM functions for employees in more than 60 percent of the world’s countries and enabling organizations to improve their engagement across the globe. Please provide your information to access your global engagement whitepaper.